Nearly one-third of childhood epilepsy ultimately becomes drug-resistant epilepsy. Only about one-third of drug-resistant epilepsy may require epilepsy surgery but such surgery is still beyond the reach of a huge proportion of children with pharmacoresistant epilepsy. Previous studies have reported dietary implications as a treatment option for drug-resistant epilepsy. Sheffali Gulati in her review article published in Indian Journal of Pediatrics recommended dietary therapies for drug-resistant epilepsy in children. The author reviewed on the Ketogenic diet(KD), Modified Atkins diet(MAD), low glycemic index treatment (LGIT) and Medium Chain Triglyceride KD (MCT KD). Ketogenic or “keto” diet is a low-carbohydrate, fat-rich eating plan that has been used for centuries to treat specific medical conditions. In 1920 it was introduced as an effective treatment for epilepsy in children in whom the medication was ineffective. The ketogenic diet is one treatment option for children with epilepsy whose seizures are not controlled with AEDs. The diet may help to reduce the number or severity of seizures and can often have positive effects on behavior. 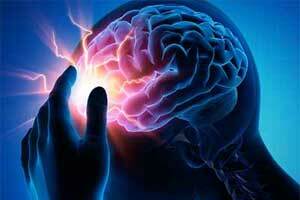 Up to 70% of people with epilepsy could have their seizures controlled with anti-epileptic drugs (AEDs). For some children who continue to have seizures, the ketogenic diet may help. The diet is a medical treatment and is usually only considered when at least two suitable medications have been tried and not worked. The ketogenic diet predisposes to nutritional deficits in energy, proteins, minerals, and vitamins and excess in lipids, saturated fat, and cholesterol. The Modified Atkins diet is a special high-fat diet that is used for difficult to treat seizures. Heavy cream, butter, and vegetable oils provide the necessary fat. The diet allows all protein-rich foods such as meat, chicken, eggs, and fish. It completely eliminates sweets such as lollies, biscuits, and desserts. It was first introduced in 2003. The low glycemic index treatment (LGIT) is a form of dietary therapy for epilepsy. The LGIT allows more carbohydrate than the ketogenic diet, MCT diet or modified Atkins diet. The LGIT for epilepsy was developed in 2002 as an alternative to the ketogenic diet (KD) for the treatment of intractable epilepsy. The LGIT monitors not only the total amount of carbohydrates consumed daily but focuses on carbohydrates that have a low Glycemic Index. In LGIT, only carbohydrates with Glycemic Index <50 are allowed and carbohydrate intake is restricted to 40–60 g per day. The LGIT is a special high fat diet similar to the Ketogenic Diet that is used for difficult to treat seizures. It focuses on both the type of carbohydrate, low glycemic index, as well as the amount of carbohydrate based on portion sizes and household measurements. The glycemic index (GI) is a measure of the effect of carbohydrates on blood sugar levels. When carbohydrates are digested, they release glucose into the bloodstream. MCT oil is more ketogenic than long-chain triglycerides. Therefore, the MCTKD allows more carbohydrate and protein food, which makes the diet more palatable than the CKD. The MCTKD is not based on diet ratios as is the CKD but uses a percentage of calories from MCT oil to create ketones.